A Family Skiing in Maine: What's New About Mt Abram? What's New About Mt Abram? To get updates on new blog posts please Like us on Facebook or follow us on Twitter. Thanks! Recently @MaineSkiFamily had an opportunity for a phone conversation with Jamie Schectman, Mt. Abram's Director of Marketing and Community Development. Readers of this blog know that we are big Mt. Abram fans. Mt. Abram is a very affordable mid-sized mountain that offers tremendous recreational opportunities for people of all levels of skiing and riding ability. Areas like Mt. Abram are crucial for skiing in Maine as these are the learning grounds for people developing a lifetime addiction to the sport like the A Family Skiing in Maine crew. Quite a few behind the scenes changes happened over the past year that are bubbling up some new on-hill initiatives for the 2013-14 ski season. Jamie was kind enough to answer a few questions for my blog. What's new at Mt. Abram on-mountain this year? Last season we conducted a survey and are responding to the customer demands with a slew of changes. We are refocusing on the family experience. We hired a very experience day care director to grow that program. We are implementing a $25 learn to ski program (lift, lesson and rentals) on Thursday mornings. We have extended our hours on Thursday and Friday until 7 pm. We are bringing back Tubing on Fridays, Weekends and Holidays. We will be having a Friday night Town League Race Series and then live music every Friday night from 8 to 10 pm. We are creating a Passholder Advisory Board, whom will be elected and meet regularly with General Manager Dave Scanlan to ensure their voice is being heard and needs meet. What is one thing about Mt. Abram that people might not know... but they should know? 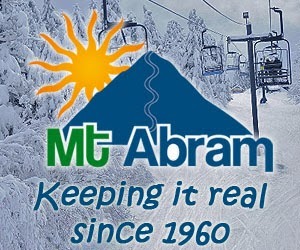 Mt Abram has not raised its lift ticket prices in 6 seasons. We are still just $49 for Adults and $39 for Juniors and Seniors. What other deals do you have? We offer $25 lift tickets on Thursdays and $79 Car Load Fridays, for all legally seat belted passengers. What is the projected opening day? We will be having a special passholder opening day on Friday, December 13 and open to the general public for Saturday, December 14. Can you talk a little bit about the Mountain Riders Alliance and the new management at Mt. Abram? 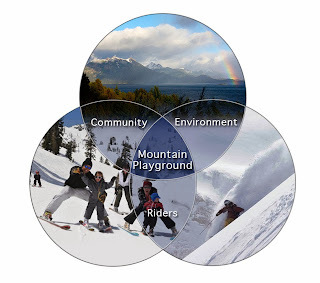 Sure, my partner Dave Scanlan and I founded Mountain Riders Alliance in 2010 to fill a much-needed niche in the ski industry, which is to develop a model that will allow community, mom and pop ski areas (like Mt Abram) to thrive. As you may know, during the 80’s there was over 750 ski areas in North America. Nowadays that has been reduced to under 500 and it’s the smaller, feeder-breeder ski areas that are dying. 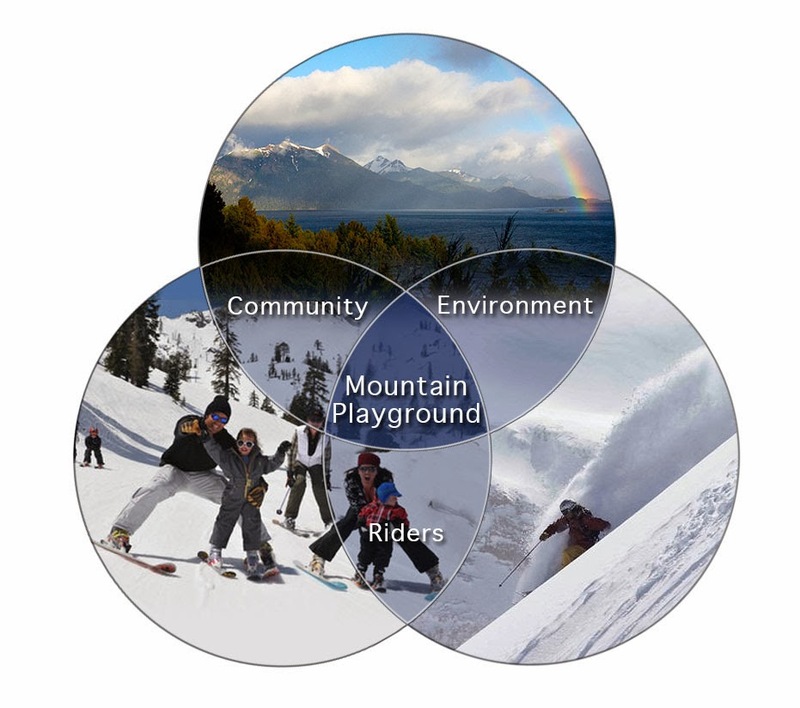 Our new model, called a Mountain Playground, focuses on the community, environment and ridership. Our decision making process is run through this filter, not just a profit first mentality that has become the norm for many corporately owned ski areas. Dave has taken over as General Manager, his wife Lana is the new Food and Beverage Manager and myself in the marketing department. Together with existing management, we are ushering in a new era in Mt Abram’s fabled past. As I understand it, part of the model involves community ownership, can you elaborate? Yes, we have begun developing the Mt Abram Co-op. We believe that these smaller ski areas should be owned by the people, for the people. That way decision making is made with an eye for the long term success. There have been several Co-op Steering Committee meetings and we hope to roll out the details and start selling memberships by the 1st of January. Mt. Abram has made a big push to be more environmentally conscious over the past couple of years. Can you tell us what you are doing in this regard? The current ownership of Mt Abram has made a solid commitment to environmental stewardship. In 2011, Mt Abram installed a wood pellet boiler system, which eliminated are use of heating oil. In 2012, Mt Abram won the NSAA Golden Eagle Award for Environmental Excellence. Last season, we were the second ski area in North America to install E/V charging stations and reward electric vehicle drivers with two parking spot right up front. Lastly, this summer we were awarded a USDA REAP grant that will go towards installing a 869 solar panel array. The on-site energy produced annually is expected to offset a majority of the ski area’s annual energy consumption. And lastly, what is your favorite Green, Blue and Black run at Mt. Abram? My favorite bunny trail is Mahoosuc Meadow, my favorite cruiser in Dudley and my favorite advanced run is the T Bar line, it has the most consistent fall line on the mountain. Thanks Jamie! We are looking forward to visiting the mountain again this year and doing our favorite Sweeper to Upper Rocky's Run to Sindley Whiplash to Fearless Leader run. Additionally our son's high school alpine ski team will be at the mountain in February for the Maine Class B State Alpine Ski Championships. Go Snow! Love more details about the town race league on Fridays,roll it out now to get locals on board and ready to roll,,tough to get buy in last minute for something new at mid season when everyone is already booked up , ,when will it start? Races begin January 3 until March 14. 3 or more make up a team. Beer specials, prizes and t shirt for all team members. More details coming soon.